When the very first McDonald’s outlet was established by Ray Kroc way back in 1955, nobody would have expected the company to scale the heights of success it has in such a short time. McDonald’s now operates in 119 countries with over 35,000 quick service restaurants and is arguably one of the biggest commercial successes the world has ever witnessed. It has a business model that has worked wonderfully well across the globe and its 1.7 million employees feed more than 68 million customers daily. McDonald’s global dominance has been the subject of many debates and case studies, and there are some very unique lessons one can learn from it. Long before globalization as a concept came into fashion, McDonald’s realized the importance of giving its customers a familiar experience every time they visited a retail outlet. The fact that customers do not like to be surprised by the appearance and quality of the food is no surprise to most of us, but McDonald’s took standardization to an altogether new level. So passionate was the company about delivering to the customer a predictable look, taste, as well as packaging and delivery that it established the now legendary Hamburger University to emphasize “consistent restaurant operations procedures, service, quality, and cleanliness.” It is an established fact that the procedures to enforce consistency not only reassure the customer of a predictable level of satisfaction but also increase efficiency and productivity. McDonald’s is today among the most easily recognized brands in the world, and the brand presence that it has established serves to create an emotional experience that takes its target audience in the US particularly to their childhoods. Despite the universal realization that there are plenty of products available that are actually better customers have developed a very strong bond that keeps them coming back again and again. Establishing strong brand helps to build credibility and customer loyalty that can tide you over difficult times. By establishing a strong presence for your brand, you are building credibility, and also creating memories which your customers will cherish and hold on to for a long time. McDonald’s discount coupons have been very effectively used to boost customer loyalty. One of the key aspects of McDonald’s marketing policy over the years has been their tremendous consistency, but history has also shown us that the company has never been afraid to play on the edge, be it tinkering with the menu or launching new ‘Mc’ ventures. From a menu which only consisted of fries, shakes, cheeseburger and a hamburger, to the huge menu with McNuggets, McRibs, Fillet-O-Fish, McMuffins and so on, the company hasn’t come this far by playing safe. The McPizza and McLobster were notable failures, but they would never have been able to know their strengths if they didn’t hit these little blips in their path. McDonald’s has embraced its customers and realized that the company and everything it offers must always stay in sync with the wants and demands of the customers. For example, to cater to healthy-thinkers, they got rid of the super-size offerings and went for healthier options, and they introduced “drive-through” for soldiers who weren’t allowed to leave their vehicles at a McDonald’s near a base located in Arizona. Your firm too must pay heed to the needs and desires of customers and cater to them. 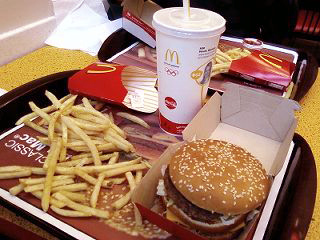 Cross-selling is a tremendously effective method of boosting sales of one product by tagging it along with more popular products, for instance, the famous “Would you like fries with that?” You must, however, ensure that you are not forcing anything on the customer so that they aren’t intimidated or irritated. As much as 40% of executives at McDonalds started off as simple hourly employees. The company takes all of its employees seriously and is able to spot and tap into each of their strengths. By allowing them to find their way to the top through sheer hard work, they build a rock-solid foundation on which the entire brand stands, and also consolidate their vision. There is no better way to give back to the community as well as gain popularity than philanthropy. McDonald’s set up several Ronald McDonald House Charities over the years and offered mentorships, fundraisers, and college education sponsorships too.